I love this shirt which I found at a TJMaxx a few months ago. 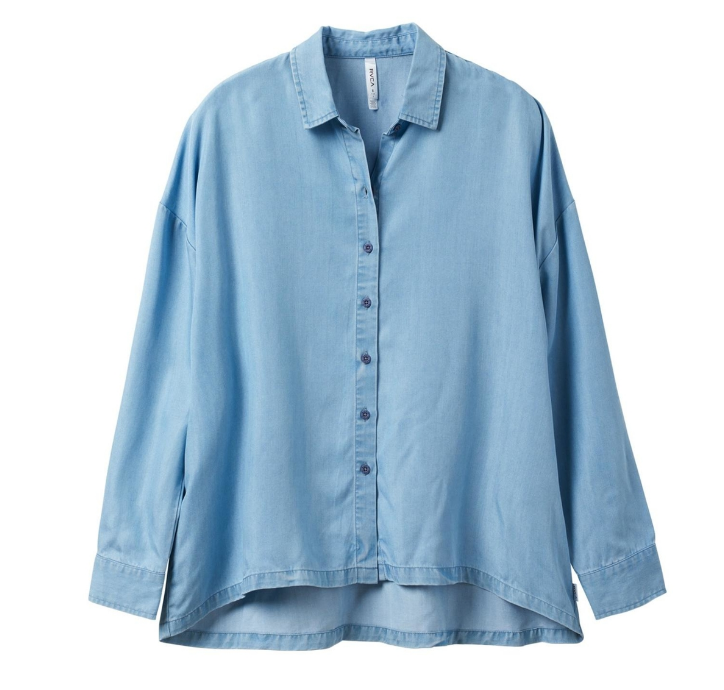 It looks like denim, but it’s actually chambray and super comfy! I couldn’t find the original online but I linked some similar options below. Since this shirt is casual, I often like to pair it with a statement necklace to add a pop and make it slightly dressier/trendier for wearing out and about. 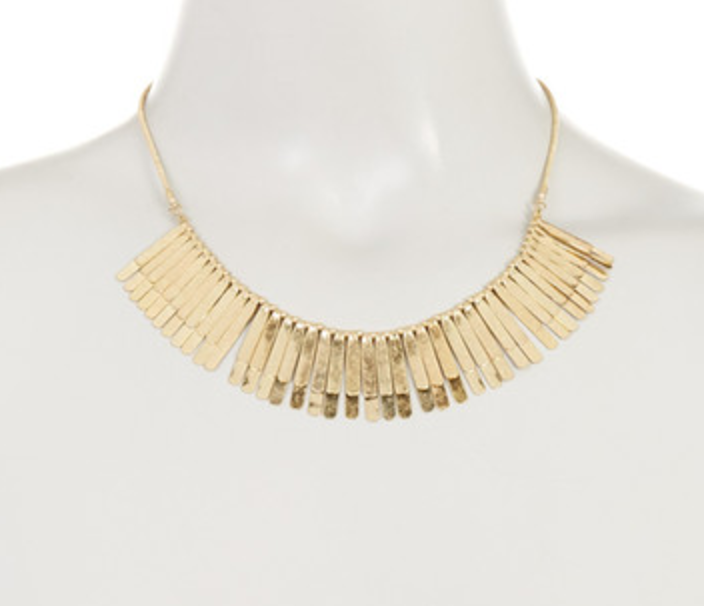 This necklace is House of Harlow. I linked it below. I also found a much cheaper version ($14) which I linked as well. I put the finishing touches on this look with my fav red lipstick from Clinique. Check out this post for a peek at my favorite reds.